There was a time when getting a laptop was a big thing and later on when laptops were really made affordable, then the specifications it came with was not good. For better specifications, customers were made to pay the heavy amount of money. That time has long gone. Now we can easily get laptops that are capable enough to run heavy software and games but are not priced too much. There are plenty of laptops from different companies in the market. One of them is Dell which has grown rapidly and has conquered Indian market of laptops. Dell gained its success with its quality and after-sales services. Recently it has launched the Dell Inspiron 5370 in the average price range which covers almost all the aspects and dimensions required in a suitable laptop. Therefore, let us see what makes this laptop special and why you should buy this with help of a clear graph drawn keeping in mind the specifications, price and review of the system. 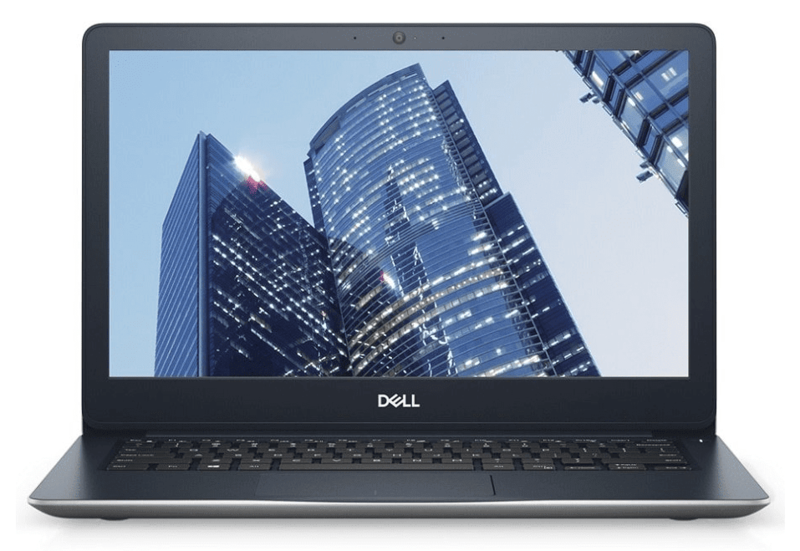 Dell is a pioneer brand in the market for laptops and is well known for its after-sales services. This is definitely the best in class and promises to deliver the performance up to the reputation and can easily handle your day to day work. Apart from the average category it falls in, this laptop has SSD storage and is able to handle some heavy games as well. Therefore, the configuration it comes with and specifications are listed below. At the very first glance, this laptop is content with a body that is sleek and light because of its portable design and use of metal. The outer surface of this laptop is made Aluminum with different flowery patterns are carved on the surface of the lid. There is this feature which makes sure that the surface does not catch fingerprints and remains brand new if handled with care. The material used for the inner surface is plastic but delivers a premium look and feel. The total weight of the laptop is around 1.4 kg only. While purchasing a laptop or any other gadget, it is very important to make sure that the display is clean enough for that perfect view. This laptop comes with a matte display and offers sharp picture quality along with decent viewing angles. The major drawback of the matte display is that due to anti-glare treatment, even at maximum brightness the contrast is low. The white also looks muddy and the color balance slightly falls into the warm side. The screen quality is FHD IPS with the 1920x1080 pixel. Like other Dell laptops, it also hosts a chiclet keyboard that is comfortable for typing and is backlit as well. The sharp front edge restricts the user to rest his palm for long while typing. The touchpad has a rough texture, which helps in accurate tracking and is also multitouch enabled. Both the keyboard and touchpad comes with a bit of mechanical feel that is absent on many devices like MacBook. As a whole, the keyboard defines perfection and ensures a better user experience of touch & feel. It packs Intel’s i5-8250 processor that is the 8th generation chipset with four cores. No laptop can work smoothly without a decent amount of RAM. By keeping this factor in mind Dell packed this laptop with 8 GB of DDR4-2400 RAM and the bright side is that it can be expanded up to 32 GB. For storage, we get 256 GB SATA SSD, which can ensure lag-free performance. You also get a fingerprint sensor installed on the laptop for better security and a type-C port that supports standard display port. A 32 watts lithium-ion battery is installed on the rig for break free performance. The power draw will be around 6 W with few tabs opened in the browser and with full brightness. However, reducing the brightness to half decreases the power consumption with 1 W. With the continuous mixed work and maximum brightness, you can easily get an uptime of 4 hours. Reading about something can only amaze us but to really know about something, verdicts from experts can help a lot. Here are some reviews from expert critics. Apart from the market price of the device, online e-commerce websites provide different discounts on the laptop. Under the snapdeal new user offers, consumers can get the laptop discounted to a price Rs.62780/- with differed deals available site-wide. This perfect fusion of power and beauty packed in the aluminum case can cost you up to Rs. 62,990/- only on Amazon. On Flipkart, this same laptop is priced a little higher with a price tag of Rs. 65,123/- only. Having a laptop, in the day-to-day world is very essential. Make sure you are investing your money in something that is reliable and proper in user functioning. Dell is a brand name which ensures reliability and efficiency. Keeping in mind the goodwill and features, this new laptop suits every purpose made for technology.